Weekends better utilized to go out of city. Bogor became one of the favorite destinations of Jakarta family on weekends. Bogor city has many unique tourist attractions and suitable for refreshing when a holiday weekend. Here are some of the unique sights around Bogor. Facilities provided in this park is complete. Such as pools, lakes with water games, arena riding, fishing pond, outbound, flying fox, ATV circuit, until a mini rafting. Tourism Park Sun Peak is located in the region so that the atmosphere and cool air is still felt. When you start to get into the gate or entrance, you will be treated to a beautiful artificial lake with a variety of different water games. In the lake there are also a variety of fish. Many visitors who gives food to the animal’s water from the edge of the pool. When fed, a group of fish will swim to the edge of the pool. 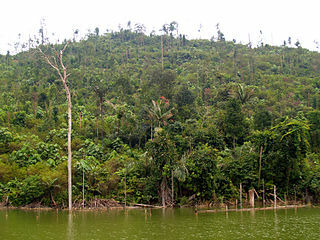 The lake is very spacious and has a diverse landscape, so travelers will not feel bored when around by boat provided. Arena game ATVs is a must try, in addition to cheap tickets, track off road ATV is very challenging and difficult as sharp turns up a small hill will be able to make your vehicle will jump wildly. This place has also been used for the location of the local ATV racing. Lodging in place is also unique in that it has a large capacity as army barracks. The shape is also unique and traditional home from areas in Indonesia, such as home of Manado, Javanese, and Villa Red. You can also use the jogging track for exercise when the mornings or are staying here. Jogging trails along the Ciliwung River and made of gravel. The body will be healthier with reflection effects that arise while exercising. These sights are very exciting and fun. Highly recommended for travelers who enjoy playing in nature. Parks Holidays the Sun is located in Cilember, Jl Raya Puncak. Bogor. Some of the packages offered by this park include agro-tourism package rice, organic vegetables, games, natural waterfall long, and outbound. Educational Travel Place is located on the road leading towards Gadog or Puncak. These attractions when seen from the front just like a regular house. However, at the back of the house there is a location where workshops and factories. You will be invited to tour the factory to see the process of making toys and child furniture with wood base materials. Toy furniture production started from cutting, preparation, to painting wood. All of these processes must be done carefully and correctly. The results of this wooden toy factory also exported abroad. During the tour, visitors will be given the knowledge of the benefits of a piece of wood. Children’s toy furniture made in this place is a waste or residual household furniture manufacture. After that, the workshop begins, travelers will receive a package of toys that have not been arranged. This toy package needs to be installed prepared or toy like a fire engine, a giraffe, or a helicopter. Each participant is free to color the toys that have been made as desired. While waiting for the paint to dry on toys, tourists will be invited to the library. Here you can read a book or listen to the stories and knowledge of fairy tales. Then you went to the cinema to watch a movie mini family or educational with interesting and different themes. The atmosphere in both places is not boring because the walls are beautifully illustrated and colored. When finished and dry paint on toys, toys to take home. Abia house wearing no admission for the participant or introduction. Participants simply pay toys pack are going to make. In addition to making toys, participants can also purchase a variety of wooden toys and furniture at the outlet which is only found in this place. Price toys children wooden furniture is quite cheap because it is a factory price. These sights are very suitable for families with children. Of course, your child will feel happy when visiting here. The house is located on Jl Abia Moch Toha, Ciawi. To go to this water park, starting with exploration down around Bogor Nirwana Residence housing. Jungle atmosphere has been felt because there are many small woods around the housing. You can also see where deer here. When he arrived at the location. Noise visitors already heard. The Jungle Water Adventure has many water rides were interesting to try, like the lazy river, a variety of sliders, and a kiddy pool. Each vehicle is unique. You can stare at the beauty and uniqueness of various fish in a giant aquarium located by the lazy river. Some rare freshwater fish like alligator and arowana become interesting collection provided. Alligator fish comes from South America, has a long snout and jagged like a crocodile. Slider rides offered at The Jungle is quite complete, as racer slide, spiral slide, tube slide and. Among the various sliders, the most challenging is the tube slide. Launch vehicle to form a closed pipe is such that there is a water pipe in the house. Upon entering from the top of the tower slide, you will be taken glide turn in the dark before finally plunging into the pool. Slid more thrilling sensation. The uniqueness of The Jungle that does not exist anywhere else is fountain indoor soccer facility. Out door indoor soccer field is located in the pool and have some point fountain. In accordance with the concept of edutainment, water tourism also has a bird park. The park was coined diverse collection of rare and exotic birds like macaw, cockatoos, peacocks, and eagles. Once satisfied playing the water, you can relax and enjoy a different adventure in Cinema 4d. The cinema offers a four-dimensional sensation of watching movies like Fly me to the moon, jetpack, and Haunted House. You will experience the same adventure with the effects on films such as shocks, whistling sound objects, water bursts, until charred smell.